Update 2: If you have Matmid points, you’ll want to use them before they are devalued at 5pm on Sunday, 3/31. If you have AMEX points that you want to use for El Al travel you can transfer them now to El Al and your account should reflect Executive status for discounted awards instantly or within 24 hours. You can view a comparison award chart for the current and the new rates in this post. Update: The points devaluation below this update will go live on 4/1/19. You can avoid the devaluation and fuel surcharges by booking El Al award travel via Qantas. Here is a post comparing El Al’s old and new rates with Qantas. El Al will eliminate the ability to hold award space. El Al will eliminate award waitlisting via travel agents. El Al will eliminate award waitlisting via their call center unless you have Platinum or Top Platinum status. Additionally, there is a vague statement about El Al eliminating the ability the view and reserve award seats if you do not already have sufficient points in your account. It’s unclear if this means you won’t be able to view which dates have award space, or if it means you won’t be able to see the miles+fuel surcharge+tax price of the award space. 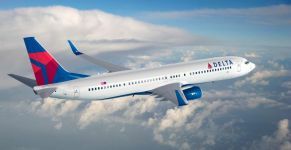 But starting on 7/1, it may become very frustrating to search for award space if you just plan on transferring points from AMEX to El Al when you want to book an award. Regardless of what exactly they mean, you should still be able to search for award space via Expert Flyer or Qantas.com. 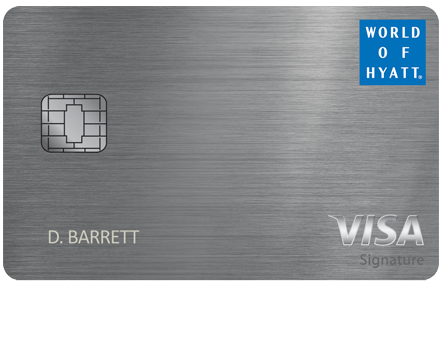 In December there will also be limits to how many elite tier points can be earned from El Al credit cards. Effective 4/1/19 El Al is devaluing their Matmid program yet again. Are they making it simpler? Are they getting rid of their onerous expiration policy that they added in their 2015 massive devaluation? They’ll keep the same byzantine system with numbers that no other airline uses and maintain an award chart that is different for every airport that they fly to. It’s the world’s most complicated loyalty program and it’s getting more complicated. If there was ever a mileage program that needed to be burned down to the ground and restarted, this is it. I’m not even going to try to explore all of the changes, but here are the big ones. Mileage earning will switch to revenue based mileage earning. Starting for flights on 4/1/19 non-elites will earn 1 Matmid point per $10 spent while elites will earn 1 Matmid point per $8 spent. This applies even if you have already bought tickets for travel as of 4/1/19. Currently an $800 sale ticket from NYC to Tel Aviv would earn 80 Matmid points. 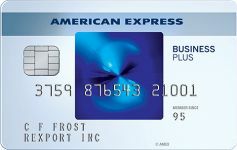 Members who have transferred 5,000 AMEX points to El Al in the past year get Executive status and would earn 96 points. With the new system you would need to back out about $100 in taxes, so you would earn about 70 points and there won’t be a bonus for Executive members flying in coach. 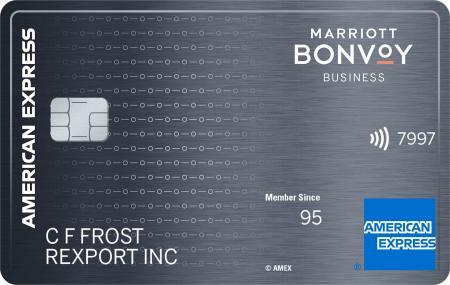 Members who have transferred 5,000 AMEX points to El Al in the past year get Executive status, so I’ll compare pricing with that status. Currently a round-trip coach flight from NYC to Tel Aviv costs 1,400 points in the winter and 1,600 points in the summer. Taxes and fuel surcharges add another $350. Starting on 4/1/19 it will cost 1,760 points in the winter and 2,080 points in the summer. Taxes and fuel surcharges will add up to $400 on top of that. Currently a round-trip coach flight from LA to Tel Aviv costs 1,800 points in the winter and 2,000 points in the summer. Taxes and fuel surcharges add another $350. Starting on 4/1/19 it will cost 2,240 points in the winter and 2,560 points in the summer. Taxes and fuel surcharges will add up to $450 on top of that. Currently a round-trip business class flight from NYC to Tel Aviv costs 4,500 points. Taxes and fuel surcharges add another $350. 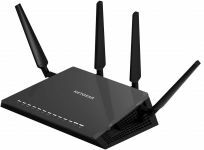 Starting on 4/1/19 it will cost 5,100 points. Taxes and fuel surcharges will add up to $450 on top of that. Currently a round-trip business class flight from LA to Tel Aviv costs 5,500 points. Taxes and fuel surcharges add another $350. Starting on 4/1/19 it will cost 5,950 points. Taxes and fuel surcharges will add up to $550 on top of that. Matmid has so much potential to make El Al a highly profitable airline. But it keeps on proving that it’s run by people who don’t understand loyalty or how to profit from it. That’s a shame. 98 Comments On "Last Chance To Take Advantage Before El Al Devalues Matmid Yet Again"
Just clarifying that those amounts are RT. Round trip, including stops in Goose Bay, Gander and a weekend in Athens. Now, with what other airline can you get all that? @Dan Were these changes implemented before your meeting with El Al, or are these a result? I got a cyber Monday deal — flew direct for $799 RT from NY. Lousy airline, but a good eal. personally i just flew elal last week because they were cheaper 180$ a ticket. (x3 = $540) for me it’s a big saving ! but i hate their service ! if i could effort to not fly with i will do ! What happens if you publish without their clearance? They’ll never talk to you again. So where’s the best choice to credit miles from a paid( chase points) travel on Elal. It’s no surprise they don’t ‘understand’ loyalty or how to profit from it. It’s just a ‘cost’ in their mind, a rebate handed out that we should be grateful for. I used to travel there quite frequently and stayed at a certain hotel every time. During the Second Intifada, I asked why rates were so high and I was informed that they needed to raise the prices because occupancy was so low. I asked if they ever considered lowering rates to attract more visitors and he just laughed. ‘How could we pay the bills? This isn’t America’. I smiled and unsurprisingly, that was also the last time I ever stayed at that particular hotel. Lol. Sounds like you’re a good fit for the Matmid team, no personal offense. So in order to get a $400 discount on a $800 NYC-TLV ticket, you have to spend $16K with El Al (about 20 tickets). That’s 2.5% return. Less than a credit card. This was before the post was fixed. Now it’s at least $17.6K, or 2.27% return. And what are you getting with other loyalty programs? It’s also not fair to compare when you likely don’t utilize most of their routes. Obviously none of the loyalty programs are very rewarding nowadays. But let’s compare to United, which awards at least 5 miles per dollar (could go up to 11), and you need 85K miles to fly EWR-TLV. So for spending $17K miles you get a free ticket, no fuel surcharges. That’s about 4.5% in my scenario, and climbs to 8.5% in your scenario. And elites get up to more than double that. Eh that’s not fair, what if you need a last minute flight that costs $1500, why take the marginal case? Even then it would be a 6.25% return. Just a little over the minimum 4.5% return you get from CSR. Why do you need clearance to publish the interview? You have your own publication. I agreed to keep it off the record until it could be cleared in order to conduct the interview. Not a huge fan of Elal but I will say that apart from being complicated their program is mostly on par with other airlines and I don’t see this as such a crazy move (one that many major airlines have done). Let’s take the opposite case to yours, say someone pays a peak fare $1450 then they will actually be earning close to 120 points as opposed to 80 before. It is certainly a deval but let’s be fair. Sure, the earning side is devaluing to be on par with other airlines. But the redeeming side and the expiration policy is just ridiculous. And the complexity is mind-boggling. The redemption side is not terrible depending on how much you use routes outside of NA, remember they are an airline based in the ME not NYC. Every award chart as I am sure you are well aware has sweet and sour spots. Re expiration, I am not familiar but are they different then other airlines in that there is no way to have activity on the account? Activity won’t help you here. Points expire after 3 years no matter what. It’s 80 only for the cheapest fare ticket, the higher economy fare class codes earned much more, about 200 – 300. Terrible devaluation indeed (especially for redemptions). But like most devaluations, there will usually be a couple of minor sweet spots too. You mentioned how an $800 winter sale ticket would now earn 70 instead of 80, but you didn’t mention that a $1400-$1700 summer season ticket which currently earns just 80 points, will earn almost double that amount on the revenue based chart. Not true. A high fare ticket currently earns about 200 – 300 (sometimes up to 400) as they credit miles based on class code. They have 3 levels for economy (NYC – TLV): 40, 80, 160 per way. Plus executive bonus. Most likely it will never come out to earning more after the devaluation. Yes true. I clearly wrote SUMMER season. Lowest level earning U, O and G class start at about $1400-$1500 and G class RT prices at about $1750 and still earns just 80 points RT. Do your research. It was either that or no interview. Could you at least tell us, from your own personal conclusion, are they aware of their very big issues? do they know what we all think about them? do they sincerely believe that by keeping on with their stupidity they will prosper as an airline company? OR maybe perhaps they do have some good excuses… if you can’t disclose the interview or details, can you at least shed light on these very general questions that are based on your feelings? I think some people are aware, but it’s a big organization and overall I’m not so sure. If they wont let you publish, What’s the point of the interview from their perspective? I would have expected you to value yourself more. In relative terms (time in business, amount of revenue) you have a far greater following, reputation, and fan base than ELAL does. Let them chase after you, not the other way around. Are there changes to the Qantas/Elal program? There are too many good airlines that value our business to worry about El Al. I travel a few times a year to Israel and El Al no longer enters my mind. Same here. I fly on average 2x a year. When I shop around for tickets, ElAl is never an option. Still the only direct flight from Boston. 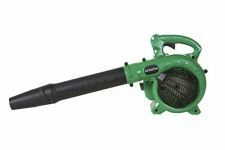 Saves you hours. Fewer charedim than the NY routes too. I have always found the Matmid program a waste of time. I am quite happy with TK, their great business class lounge and both miles and smiles as well as Mileage plus are great if one understand the system. Also some business class fares are wonderful. I fly LY within the region only and sparingly at that. Markovitch’s strategy seems to be to cozy up to people with a strong social media presence like @dansdeals and @hilzfuld and use their platforms to convince their followers that @elal is fixing everything that’s horribly wrong with it. Until we see real actual changes, nobody is buying it. After I recently lost 80 Matmid points (ouch) that expired after 3 years (+$5,700 worth of purchases), I decided to go back to United. There, over the past 15 years, I have amassed 8 round trips EWR-TLV round-trip bonus flights (that never expire) having taken two NY-FL flights in all that time! Does anyone have any idea if a writing/calling campaign would do any good? I’m doubting that since I assume it takes months to inaugurate changes (and usually bad ones at that) and their newest changes have not yet even gone into effect. But I am always hopeful. As others said, they look at United as big loosers for handing out 8 tickets for free. EL-AL are so glad you didn’t use them and they kept all those freebies. I’m also thinking that if every one of us wrote and told them we’re thinking of switch cards, maybe it would make a dent. As an American living in Israel, who just recently got a Fly Card, this is so disappointing to read. Dan, I realize you’re based in the States. But would you happen to know anything about Israeli credit cards (cards linked to Israeli accounts). Is there ANY Israeli credit card that actually has a reasonable point system? Not too good but best I found in Israel so far. Apply for Leumi-Card Multi-Platinum and ask for יחס המרה מועדף. This will give you 1 LC point on every 9 NIS you spend (or more accurately 28 points for 250 NIS). With 6 LC points you can get 10 United miles, which gives you a mile for about 5.4 NIS of spending. With 28 LC points you can get 1 Matmid point. Thanks so much for this info. 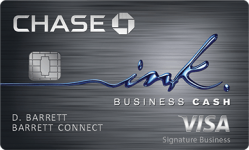 Do you have to have your bank account in Leumi to be eligible for the Leumi card? Thanks, FrumJew777. Do you know how much you need to spend to gain a point on their system? Also, what type of miles can you get with it? I’m not Dan, but I think you are out of luck with Israeli CC. There are quite a few USA cards without foreign fees. Just find a way to pay your bills. I hear you. But I”m pretty sure US cards won’t link to an Israeli bank account (and our incomes goes into our Israeli account). Unless you know something I don’t? Does anyone here own a piece of El Al? I think there is a bigger story than the rewards program. In the last year, El Al’s share price has dropped from more than 300 shekels to less than 90. The company does not show a current profit. Its president since last year, Gonen Usishkin, is a former 747 pilot who was key in buying the 787 fleet. His educational background does not extend beyond an MBA from Tel Aviv University. El Al, Israel’s flag carrier, is facing tough times, as the company has been steadily losing market share at its main hub, Ben-Gurion Airport. 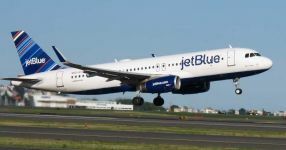 That is partly due to deregulation and the “Open Skies” agreement, which opened up greater competition from European and international carriers. According to data from the Israel Airports Authority, El Al carried around a quarter of all passengers at Ben-Gurion Airport during Fall 2017. The company is likely not to have achieved 30% market share in 2017 – for the first time in recent history – jeopardizing the reduced fees and benefits it gets from the IAA. It is unclear how Usishkin will revive the El Al’s flagging prospects, along with nudging it towards a “transfer hub” model. Many airlines now offer transit services, where you fly non-direct through a hub. That has proven to be a major money-maker. 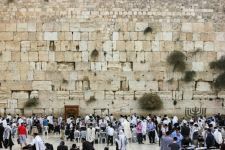 But for security and logistical complications, El Al hasn’t turned Ben-Gurion into a transfer venue, and today only a few thousand passengers annually transfer through the airport. I have a question related to the ElAl ticket devaluation coming up this April. We are bezras Hashem planning a tip to Israel this winter. Prices are pretty cheap then–a bit more than $1000/ticket. The question is, should we pay for the tickets outright and save our chase points to purchase tickets at another time when prices are more expensive and it may be harder to get a ticket. Or, should we use the chase points now, because they will be devalued in relation to the elal devaluation. Or does the elal devaluation have nothing to do with chase points, and chase points are based on chase’s own award system based on an airlines price of a ticket. Can’t wait for another Dan/El AL Super secret conversation!!!! They fooled me once and fooled me twice. I sure don’t plan on doing any more off the record. @dan by giving you an interview offer they’re hoping you will water down the disadvantages, please give us your honest opinion as we the readers are the ones who supporting you. LY is not the only airline with a policy of USE POINTS or THEY EXPIRE. Several european airlines do that already and always have. From their vantage point it is not about your free trip, it is clearly about rewarding only those that really bring them revenue. This was the original plan of most programs but they were afraid to have such a strict policy. It might be that current management is not the problem. The big issue is that air travel is a very cutthroat industry and LY is competing with it’s hands tied. LY is operating 51/2 days per week in an industry where planes run 24/7. They do not get a lower price per aircraft by using them less. They also have a hard time scheduling because this weekend might cause equipment to be in a different place every weekend. Chagim complicate things worse. Add to the above the allegiance of all these Dan’s commenters that are so critical, complain about irrops that caused a Shabbos snafu but rarely or never fly LY anyway! Are you crazy! This is clearly a security measure. There was a fear the jihadists were checking availability without matmid points. I mean, if you’re going to hijack a plane, you wouldn’t want to spend 4-5 hours in a crappy seat before jumping up with a knife! No, you’d want a nice premium economy seat. See, El Al’s the worlds best airline and everything has a logical explanation. You can’t devalue something that is worthless! They should become partners again with American Airlines! Lots in common. I wish they would hire you to make some Seder in their program. I’d be more than happy to consult for them. 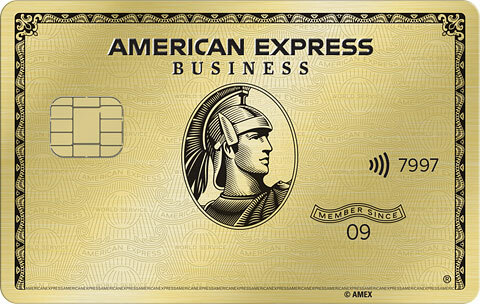 Is the Executive status program with AMEX still alive? not keeping up to their slogan again “babayit bolam”!! I would say don’t try this at home!!! staying” UNITED” is prob real best way to feel at home!! just confirming that the increased points necessary for redemption are including short trips like from tlv-europe, correct? 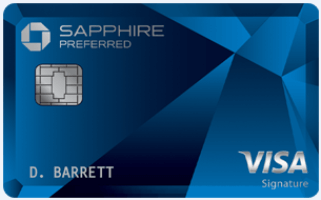 Could you please respond to the question regarding Chase Sapphire points? If you have AMEX points that you want to use for El Al travel you can transfer them now to El Al and your account should reflect Executive status for discounted awards within 24 hours.